The effects of crystallization conditions and supermolecular structure on the processes of radical formation and changes in the dielectric (tanδ; ε) and strength (Est) properties of LDPE, HDPE, and PP under exposure to γ-radiation were studied. 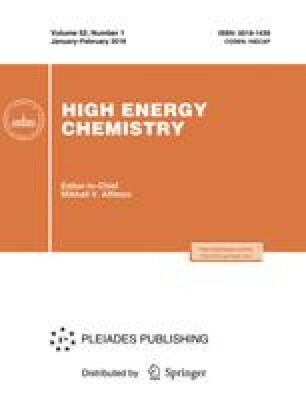 It was found that polyolefin specimens with a high crystallinity exhibited an enhanced electric strength, radiation stability, and a high yield of quasi-stable radicals at 293 K. It was assumed that a possible mechanism of the electric strengthening of PE and PP by their radiation modification (at radiation doses of 30–50 and to 5–6 Mrad, respectively) consists in a reaction of the type R· + e− → R−, the capture of trapped electrons by quasi-stable radicals. Translated from Khimiya Vysokikh Energii, Vol. 39, No. 3, 2005, pp. 176–182. Original Russian Text Copyright © 2005 by Magerramov, Dashdamirov.